Life passes us by quickly early on in the year (or is it just me? ), now is a perfect time to slow down and do something for yourself. It is not selfish, no matter what others say. Giving yourselves the chance to do or get something that just fills us with happiness should not feel bad. We beat ourselves up when we do things for ourselves because others see it as selfish when in reality it helps us through our days. It can be something small as sleeping in for a bit longer or even picking up a new book to read. No matter how big or small, it has meaning for our soul. We need to give ourselves something for just being us. A little self-love is something that is not taught, we need to learn how to do it ourselves. It is a simple step towards loving ourselves for who we are and respecting ourselves. 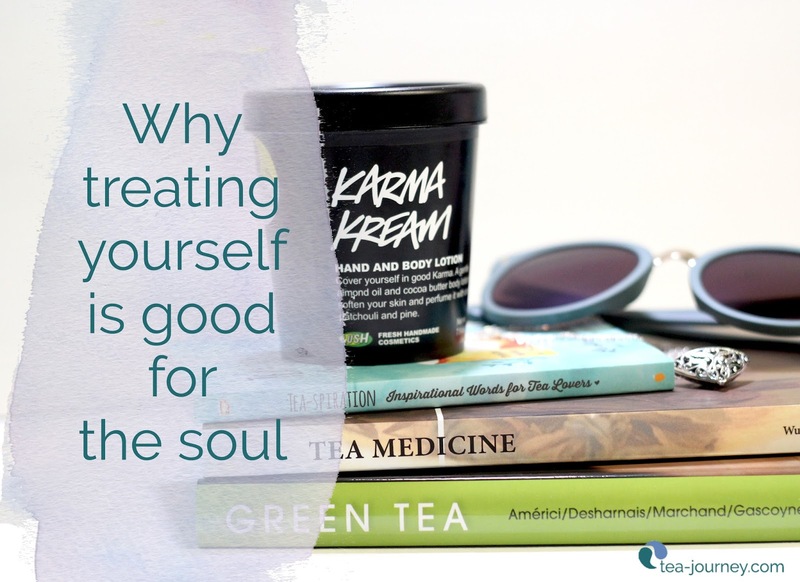 Here are a few reasons why you need to remember to be more intentional about treating yourself. There have been studies that say when we treat ourselves with respect, our health improves. Perhaps even you begin to make changes in your diet to fuel it with goodness (sadly chips and pop are not good for us). It makes you have more energy and others will notice that you have made a change. When you have self-worth others treat your better. It boils down to confidence, when we believe in ourselves others do too. But it does not stop there, their belief in you fuels you as well. It’s a never ending cycle, we return it and it flows back to us. Happiness radiates out from the heart. Start by treating your soul to something and joy radiates out of you like a light. When we treat our bodies right and are treated how we deserve by those around us: it fills us with so much joy we can not help but share it. A funny thing happens when we treat ourselves with respect, love, and care. Not only do others change how they treat us but the universe sends us little things as well. Your world can change by changing your mindset. Your future partner can walk into your life, or you will find your direction for your career, make a connection which leads you to your dream job or anything. It can even be as small as finding a lost earring or meeting up with an old friend out of the blue. It can be big or small. Keep an eye out, be open to receive. You deserve respect and love but it all starts with yourself. Start small or do something big just for you. My two big things this year are going to Montreal with some friends and moving this blog and/or new laptop (I am using my brothers from 2010 which is like a brick). Those are my big “treats” but I regularly treat myself to sleeping in or cookies with my tea. What works for me may not work for you. Dig deep and decide what you need most. Do you know a friend who may need this post? Or did it resonate with you? Share it with your tribe, big virtual hugs to all that read this blog and an extra for those that share (sharing if caring of course). Blessings!